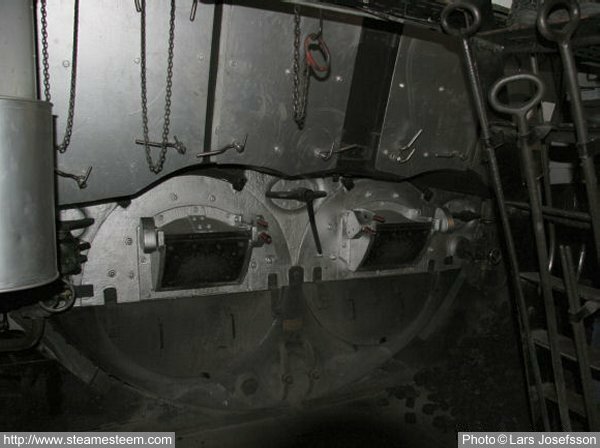 Scotch Marine Steam Boiler with two furnaces. 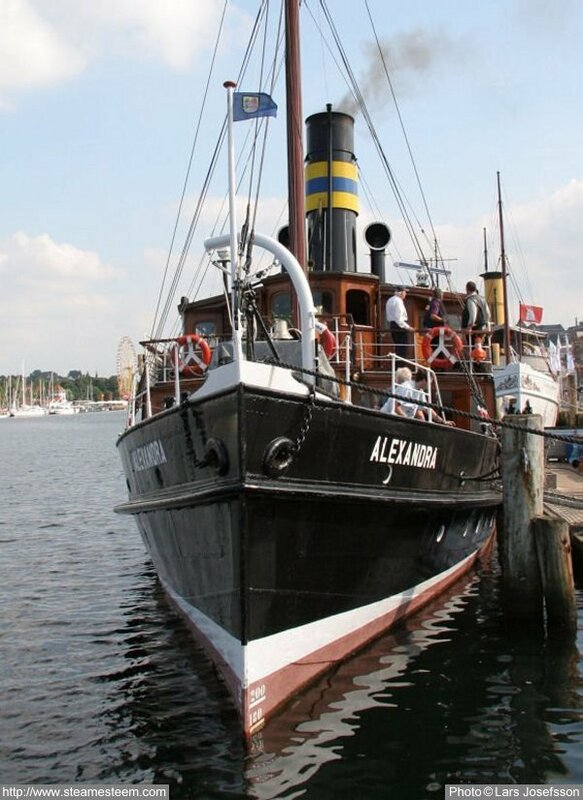 Steamship Alexandra ready for departure from Flensburg. She was launched in April 1908 and sailed under the ownership of "Vereinigten Flensburg- Ekendsunder und Sonderburger Dampfsschiffsgesellschaft". 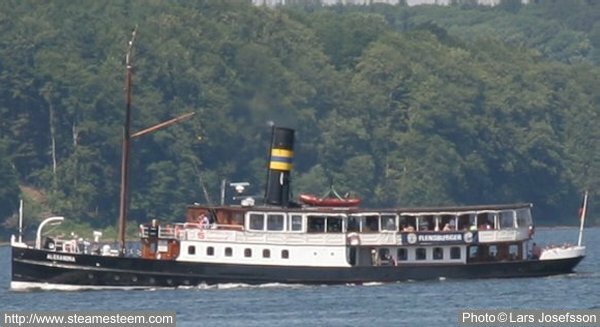 The steamer was in service until 1975, when she was withdrawn as unprofitable. 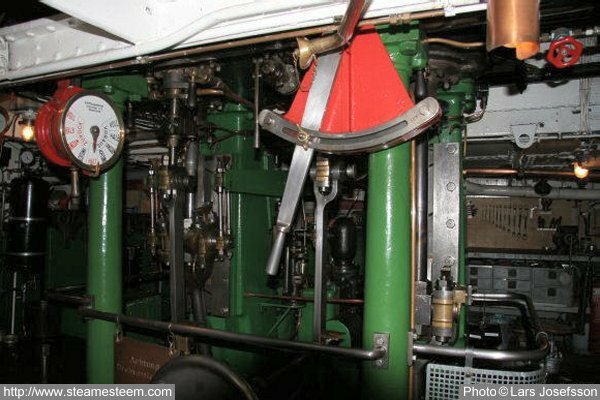 The Scotch fire tube boiler with its two coal-fired furnaces aboard steamship Alexandra. 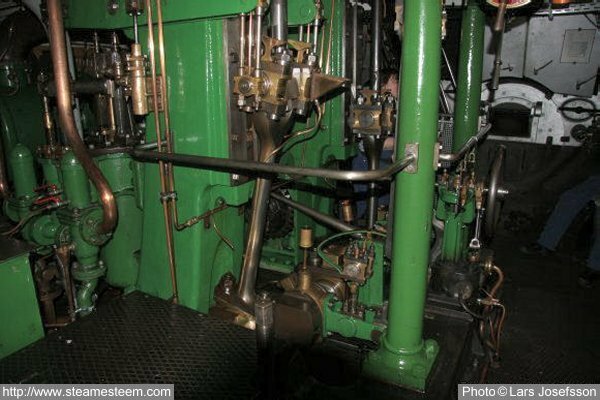 Maneuvering place for the compound steam engine aboard the Steamship Alexandra. The compound steam engine. The low-pressure cylinders connecting rod and its crosshead. The Scotch fire tube boiler is visible in the backbround.